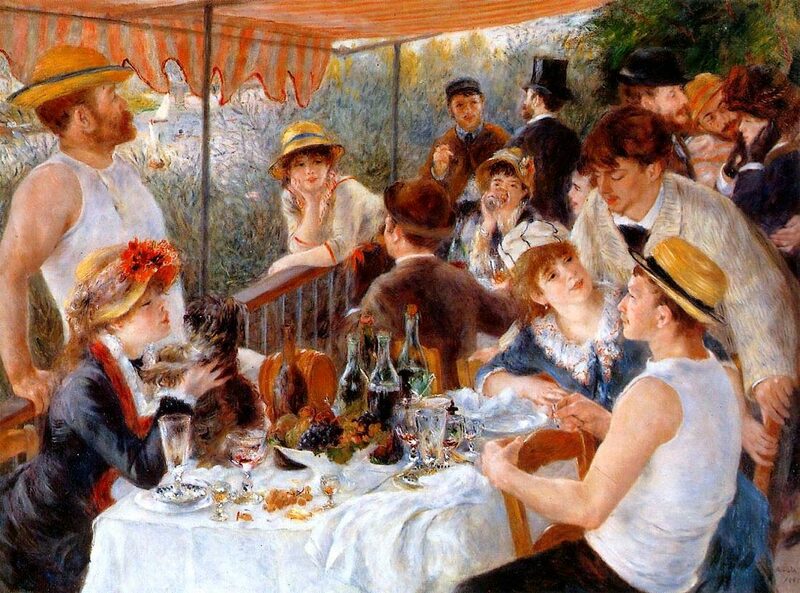 Here’s one of the most famous paintings in the world—Renoir’s “Luncheon of the Boating Party”. You’ve probably seen reproductions of it many times. But there’s something you may never have noticed about it before. No two people are looking directly at each other. Take a look. Renoir even put in a little joke about it. The only two looking right at each other are that chick and her dog. Yet you feel how tight they all are, how close they are to one another emotionally. You even feel something about how they make a group that’s alive and bigger than any individual there. This is what I’m talking about. Art communicates emotional insight: insight into emotion and the meaning of the emotion. It is other than intellectual insight. It can only be grasped or apprehended by use of your emotional ability, rather than by use of your intellectual ability. Appreciation of emotional insight is the key to appreciation of art. Interesting post, Vik. As someone who studied Fine Art at university (many moons ago) I often get asked my opinion on works of art which are featured in the news (eg, in the Turner Prize, or controversial works, such as Tracy Emin’s Unmade Bed) and I struggle to articulate why a piece of work might, or might not, have value. What you posted here made me look at the Renoir painting again, and appreciate it a little more. Ultimately I always try to impress on people that I enjoy a work of art if I can find something in it that interests me, or that resonates with me. But as your post here illustrates, a little context always helps. Thanks very much, Ken. It is fascinating to look into what makes a work of art. I have several more posts coming up featuring great paintings, and would be interested in any thoughts you may have about them.